Home Social Media YOUTH BANKING What’s Frank by OCBC Bank? In my video interview, Jin Zwicky – VP Experience Design at OCBC Bank tells us more about ‘Frank by OCBC’, a fresh brand focused on youth banking. EFMA Distribution Summit 2015. In March 2015, I was delighted to deliver my 10th speaking engagement for the European Financial Marketing Association (EFMA) as part of the Digital Banking and Social Media stream of their EFMA Distribution Summit 2015 in Barcelona. As usual, I met some fantastic banking innovation professionals, thought leaders and senior executives with a digital mind including Jin Zwicky – VP Experience Design at OCBC Bank. In this short extract from my 25-minute video interview, Jin talks us through the story behind ‘Frank by OCBC‘ and tells us how valuable this fresh approach to youth banking is for the OCBC Bank. 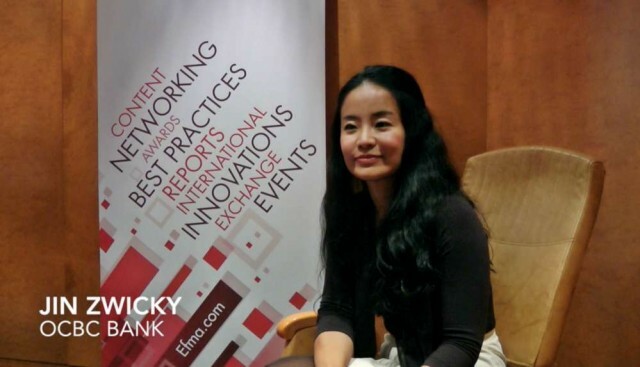 I invite you to watch my other video interviews on Digital Banking and Social Media with OCBC Bank’s Jin Zwicky and a few other key speakers from the EFMA Distribution Summit 2015.